North West Tours - Specialising in small group tours around Mount Isa and beyond. 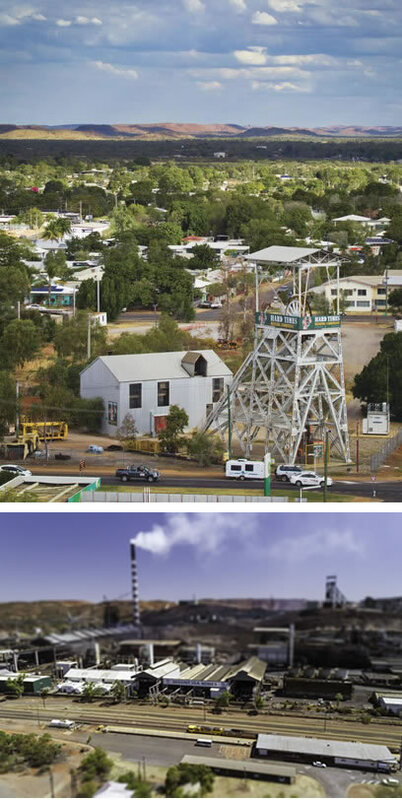 Mount Isa is a travel and lifestyle hub for outback Queensland. One of the largest cities in the world by area and nestled amongst the Selwyn Ranges Mount Isa is sure to whet the appetite of adventure for any traveller to our unique city. At North West Tours, we are proud to be local operators. We are keen to share the hospitality, adventures, history and stories this icon of the Australian outback has to offer. We are passionate about the region in which we operate and work closely with many stakeholders. We strive to deliver an exceptional experience to visitors seeking that Mount Isa encounter. North West Tours specialise in small group tours around Mount Isa and beyond. With our comprehensive interpretative tours we provide visitors with a friendly hassle-free experience of areas that are off-limits to the general public; are areas only known to locals by word of mouth. We also proudly showcase the many and varied historical aspects of the region including flora, fauna and geological formations. Our tours include 2-hour city tours, exciting full-day tours and our 3 & 4 day adventures to beautiful Adels Grove. Departing from Mount Isa, our tours focus on sharing the history and adventures of this remote outback area that can best be told by our experienced tour guides. This is your opportunity to get out of your own vehicle, sit back and relax and experience the rugged beauty, impressive stories, fantastic wildlife and outback charm of north west Queensland - all from the comfort of our modern and comfortable vehicles. You can be sure that when exploring with North West Tours, you will experience the passion, knowledge and commitment we feel for the unique areas we choose to live in and share. You will be well cared for in a safe and environment, and we know you will feel confident that you have received an informative and interpretive experience with North West Tours.